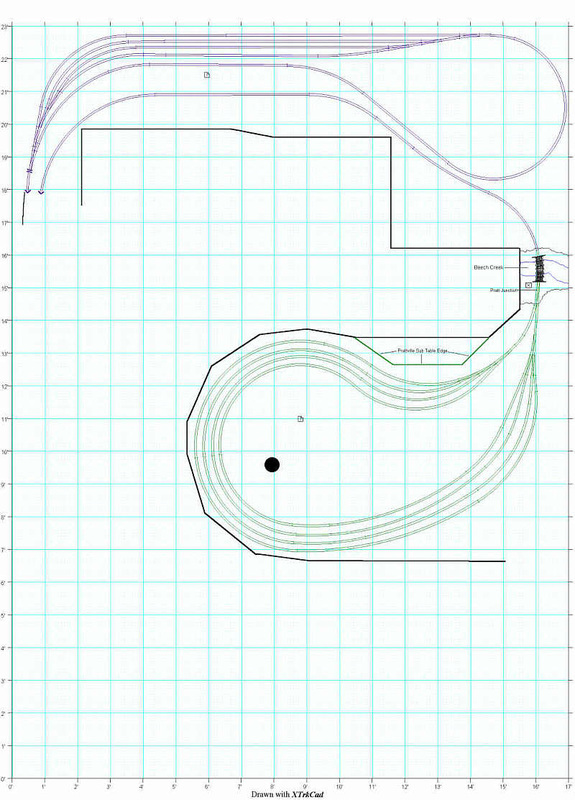 These are my staging yards, they are located under everything. I call this my first level. 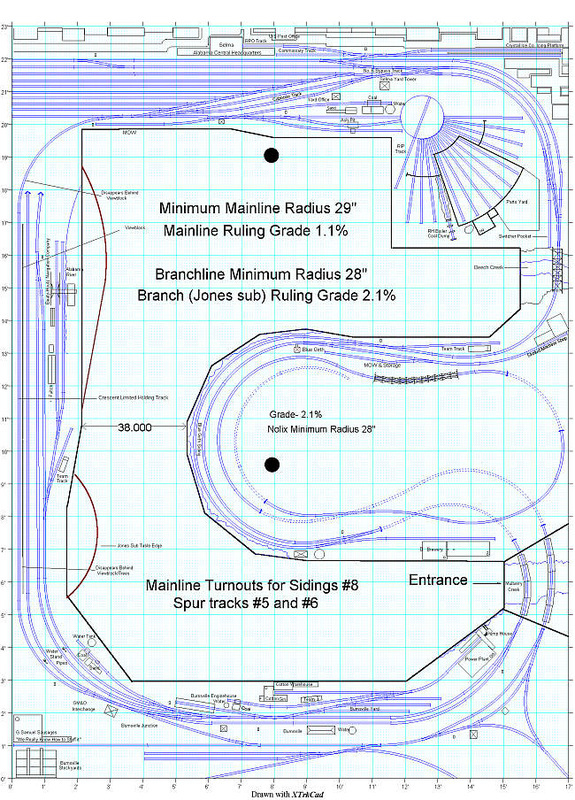 This is the main level of the layout. 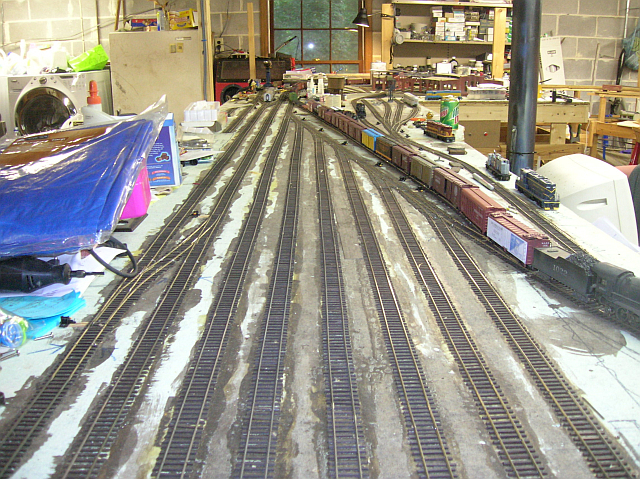 Main line rail is handlaid code 83, with sidings, spurs and yards being code 70. The branchline terminates at the small town of Maplesville, AL. There is a small TT here for turning the steamers. Here is the main yard at Selma Al. All handlaid code 70 rail on ties I cut myself. 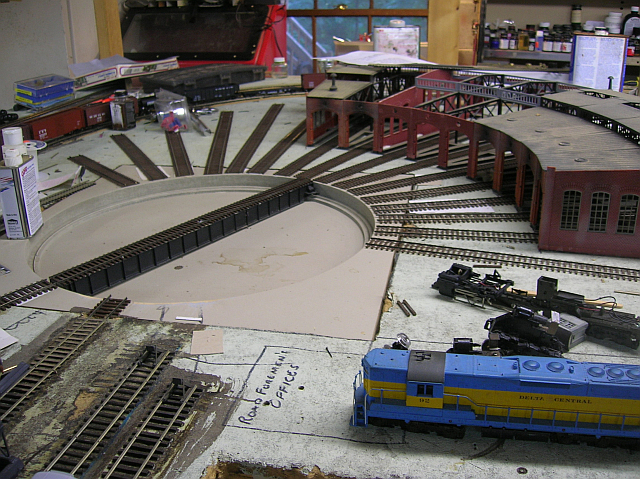 This is the Roundhouse and turntable area. 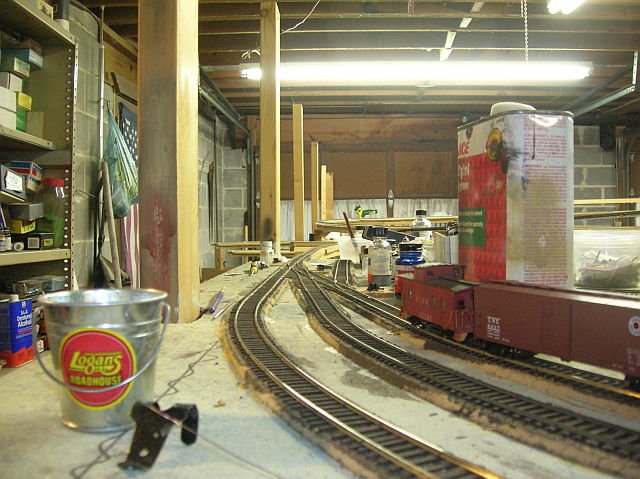 Its a 9 stall, which still is waiting on completion, along with the Turntable that needs the same! Blue Girth. 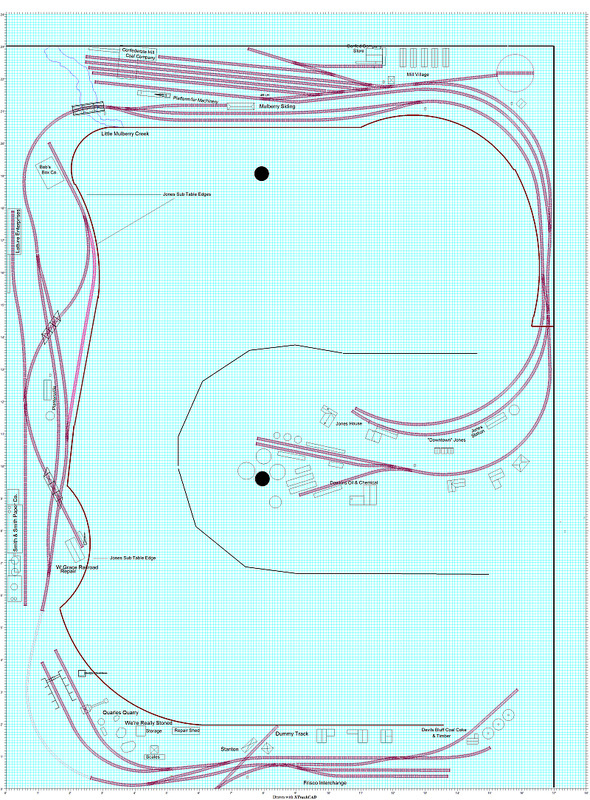 A small town with a machine shop and team track. The Blue Girth siding begins here. 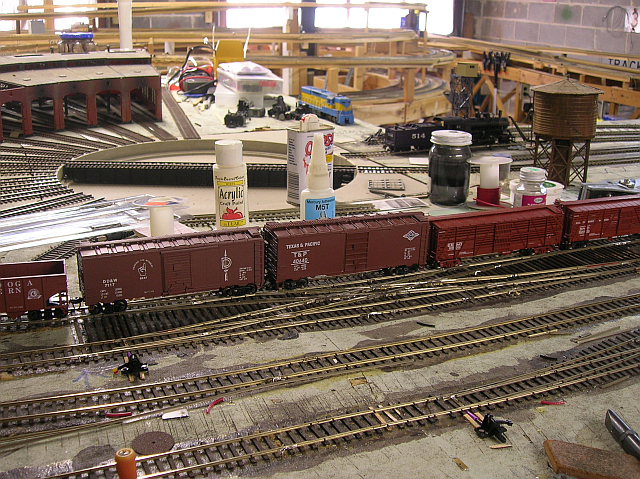 The train is passing over a scratch built double crossover. All code 70 again. Its wired for DCC as well. 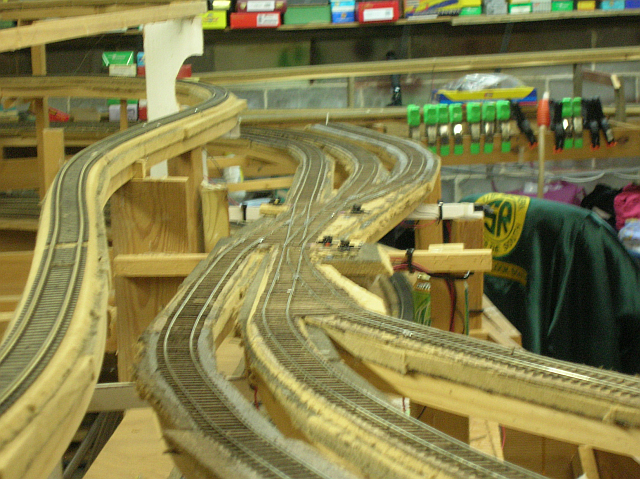 This is the curve going around the roundhouse, headed for the small community of Blue Girth. Please excuse the "extraneous" stuff in the pics. 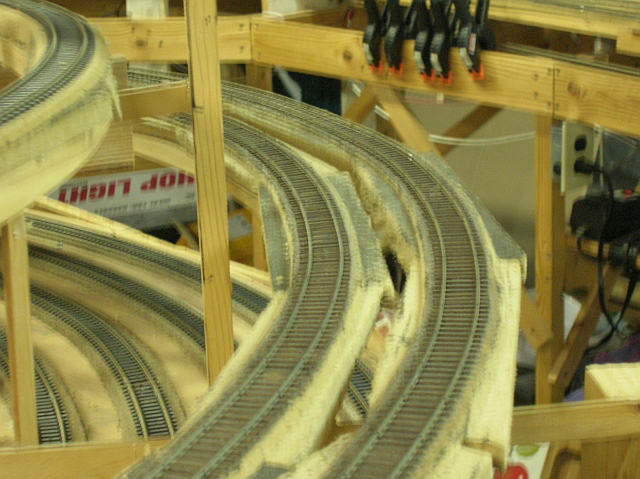 This is Blue Girth siding, which is one of the longest on the layout. Outer main is code 83, inner siding is code 70.